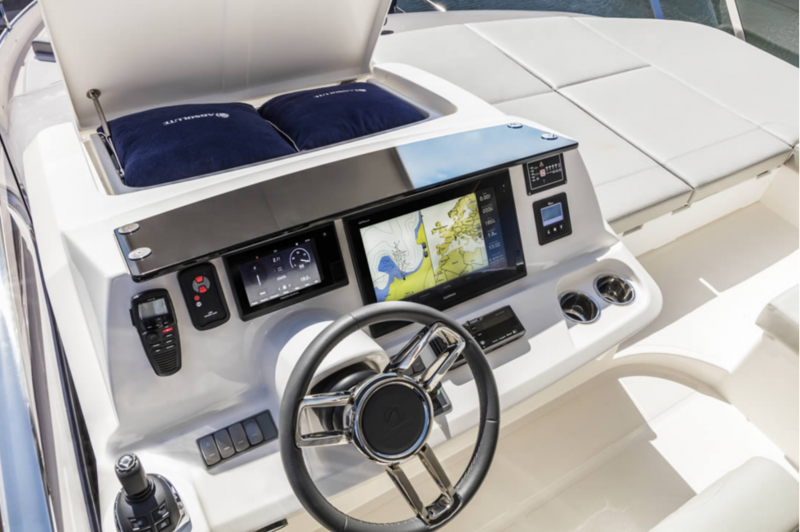 The Absolute 58 Fly arises from the union between ergonomics and technology. 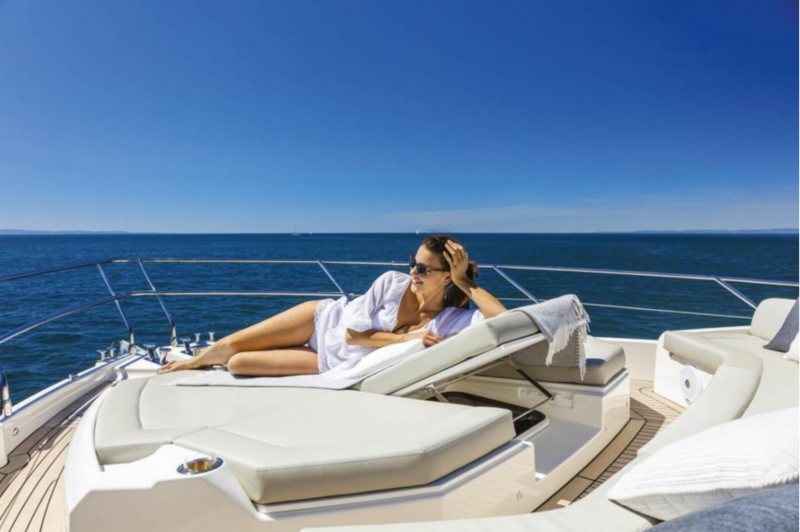 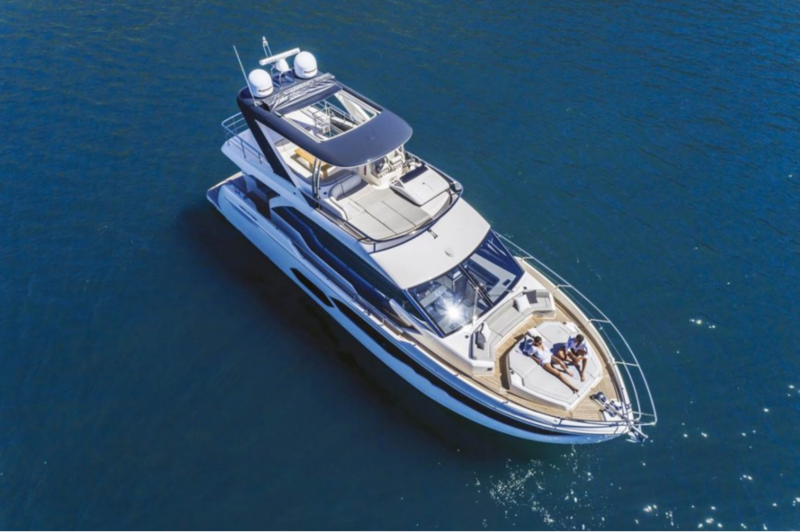 In this yacht, the values of the biggest luxury motor yachts find an exciting implementation. 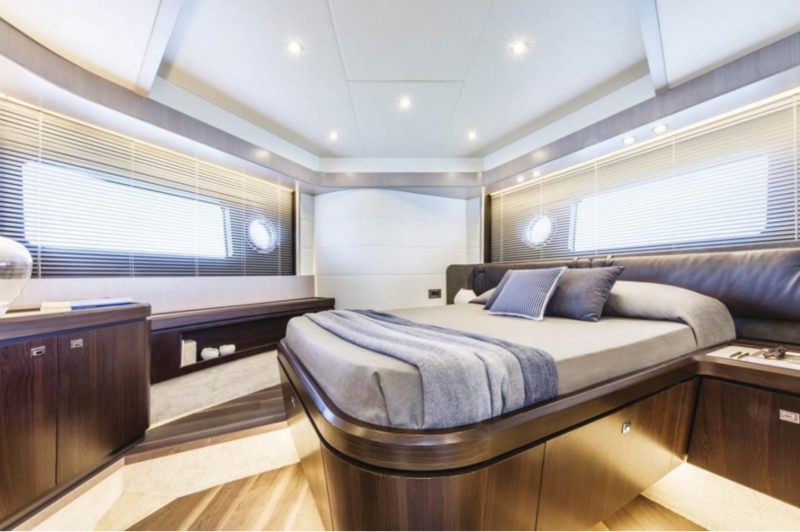 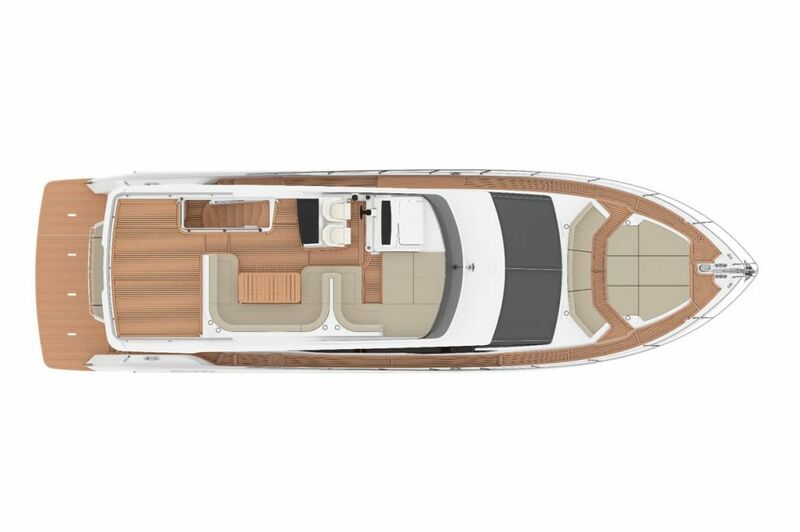 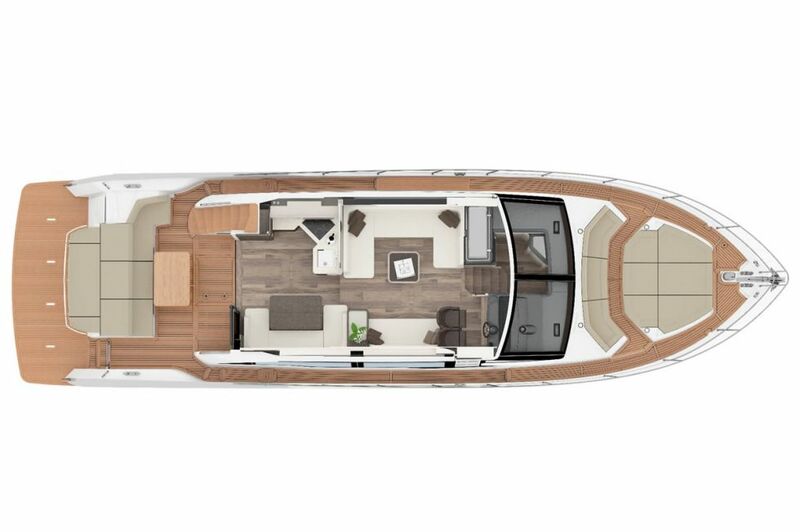 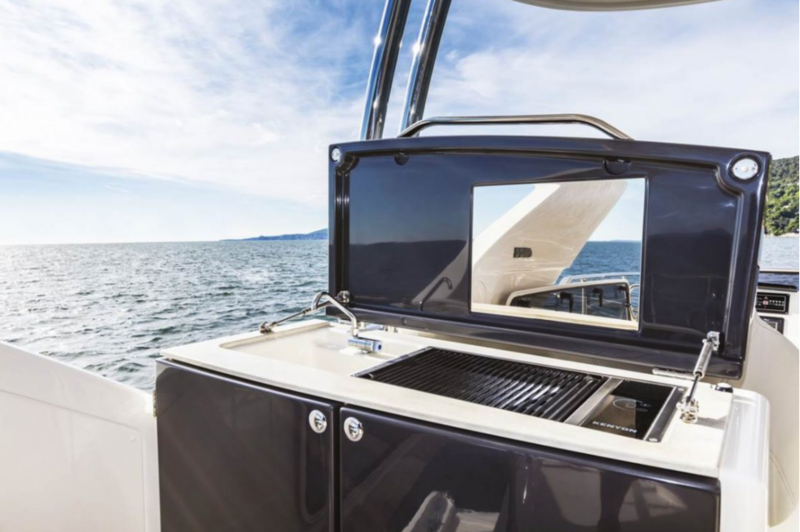 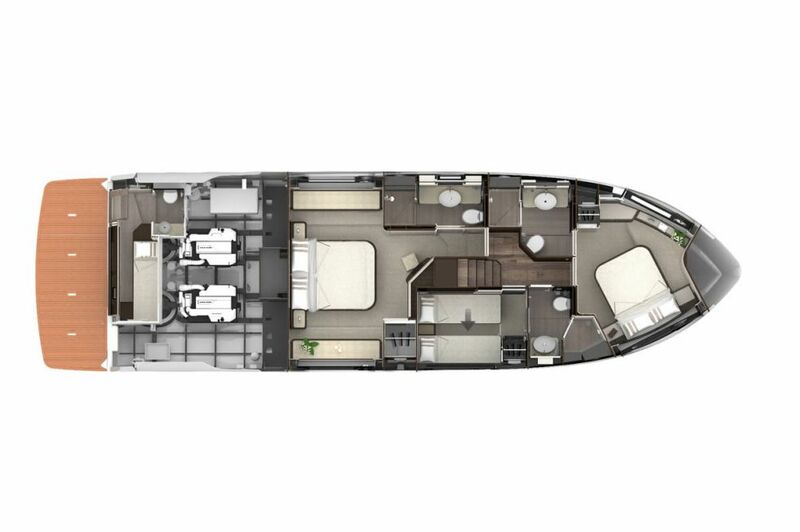 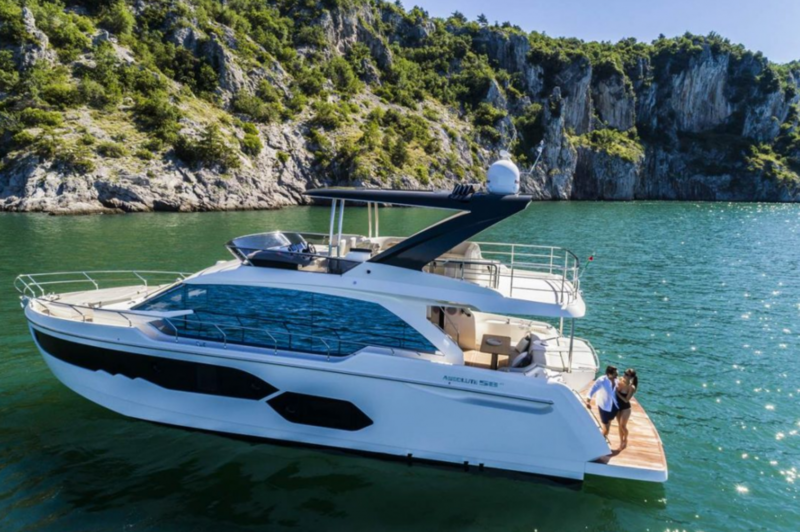 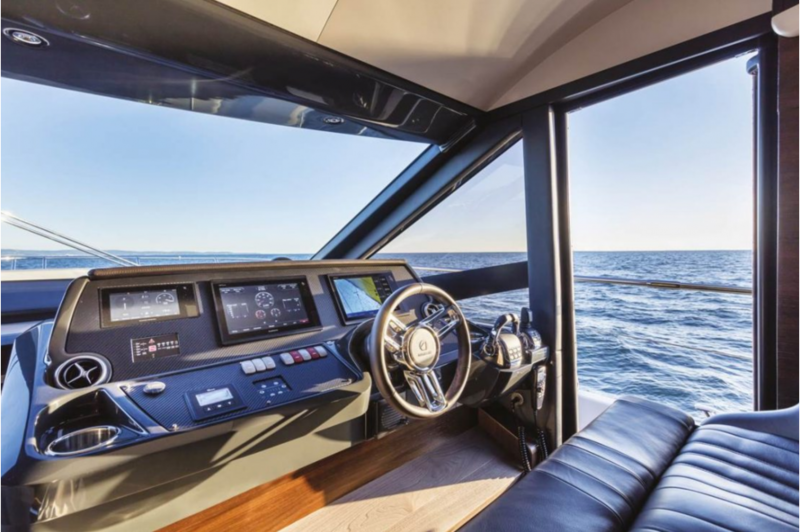 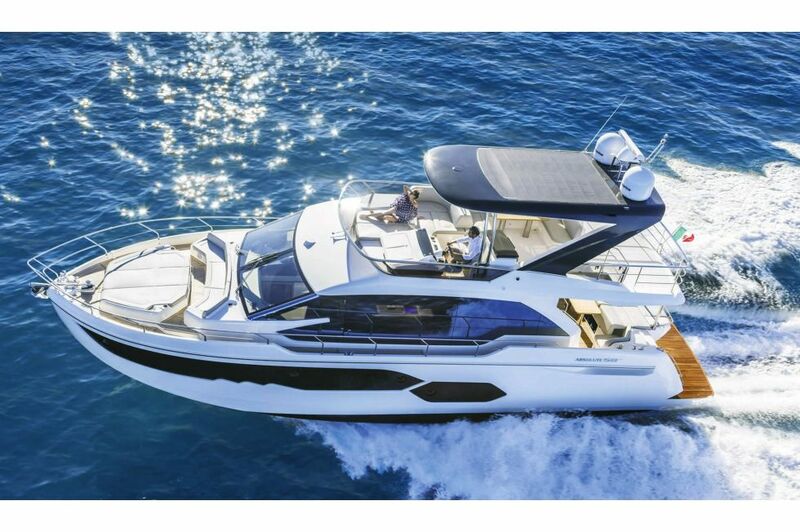 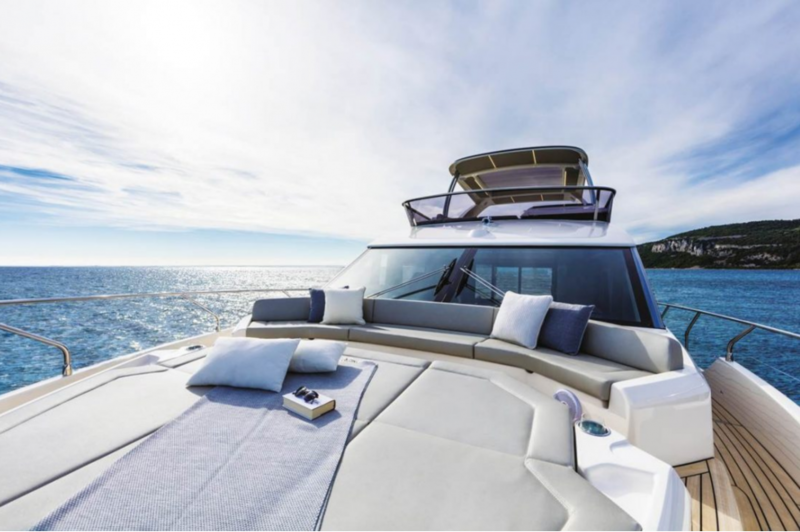 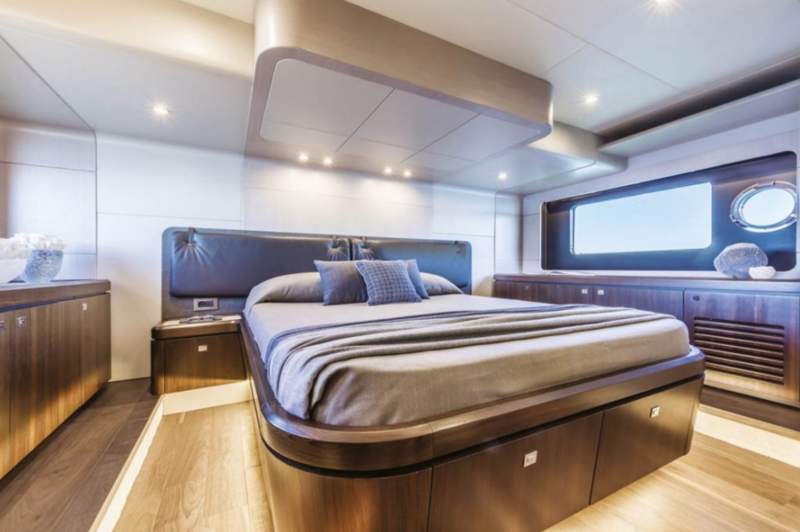 The IPS-800 systems and the celebrated Absolute hull ensure low consumption, maneuverability, silent movement, reliability, in order to offer to sea-lovers a seagoing experience guided by pleasure and safety on all sides. 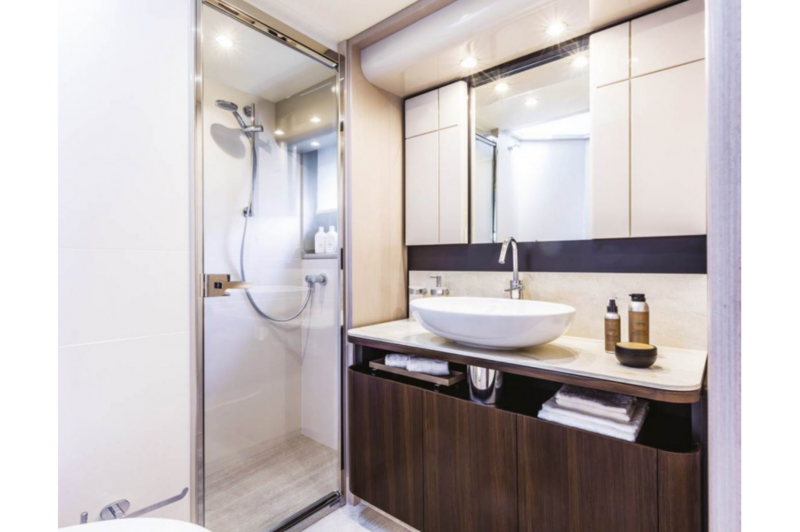 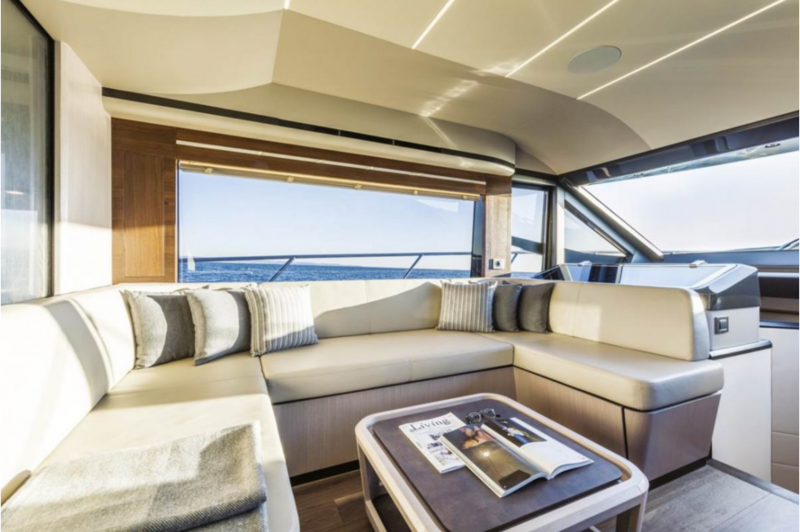 The comfort expresses itself through a space optimized in every detail, studied to host seven guests with a maximum capacity of fourteen people. 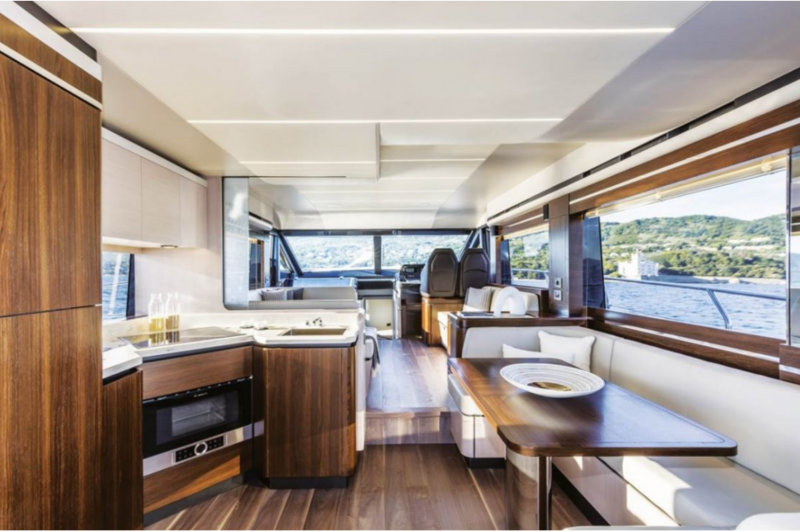 The livability of the spaces is even easier thanks to the sliding doors, the rounded edges, the wide and rectangular beds and the floors, almost without obstacles. 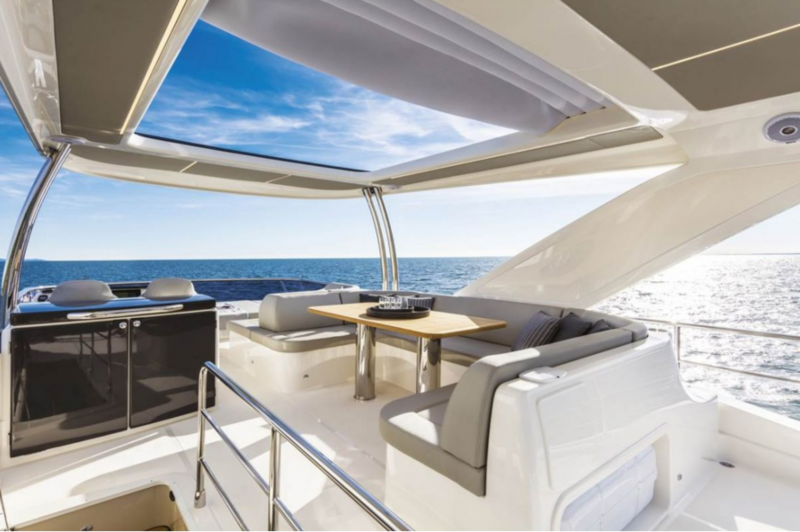 Nothing can be left to the chance when the aim is always reaching for the absolute. 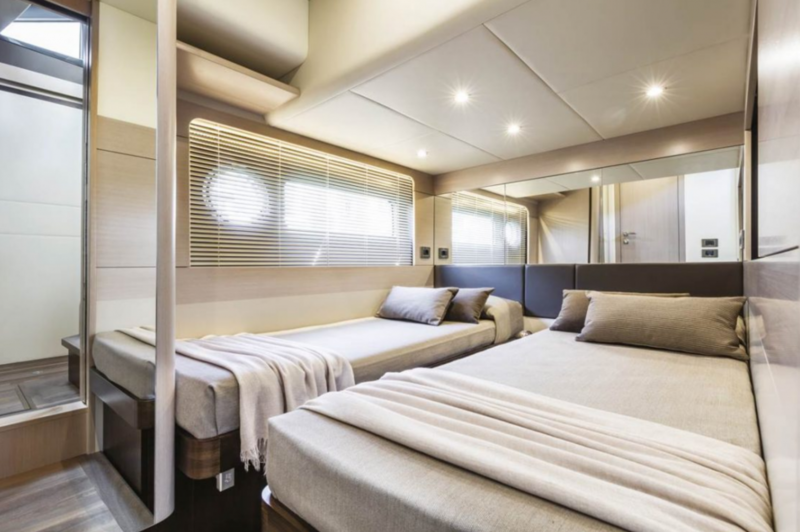 The night area has been designed to ensure the best comfort for seven people. 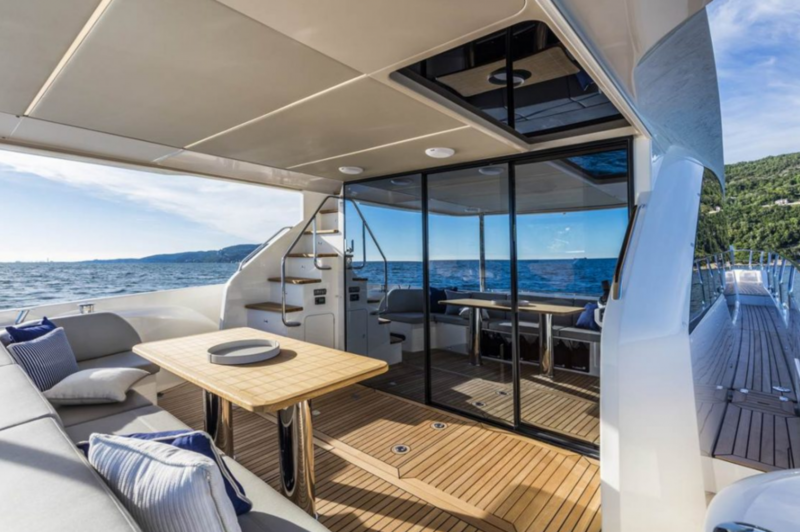 The comfort characterizes also the living area, finely well-refined and attractively furnished, designed to offer the maximum panoramic visibility. 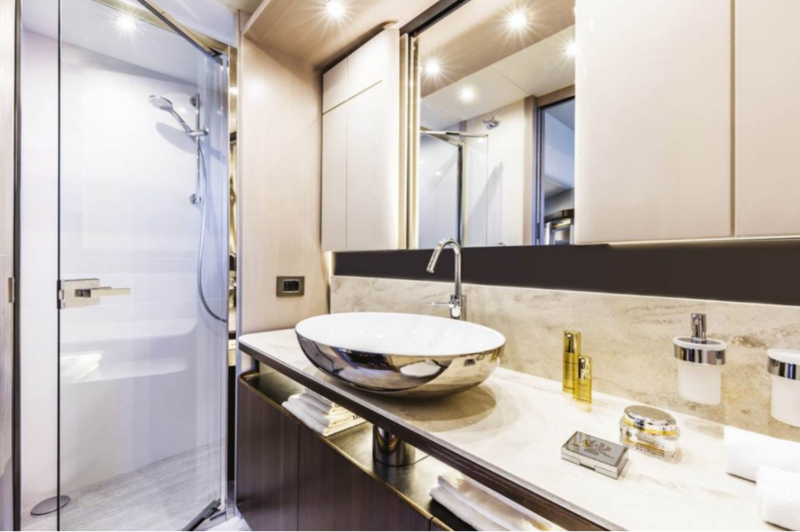 Top quality materials are the frame of a captivating-beauty yacht where the quality of the Made in Italy stands out: this is the signature piece of the shipyard near Piacenza.